Vladimir Putin is throwing his old pals under the bus. He’s replacing them with loyal and docile servants. And he’s building a security apparatus that answers to him alone. A year ago, Putin fired longtime associate Vladimir Yakunin as head of Russian Railways. A few months back, he effectively dismissed Viktor Ivanov as director of the Federal Antinarcotics Service. Last week, he removed his old crony Sergei Ivanov as Kremlin chief of staff. And in the middle of all that, Putin set up a powerful National Guard, a 400,000-strong force that is run by the Kremlin leader’s former bodyguard and answers to him alone. Putin is becoming a solitary man. He’s building a personal army and members of his once-powerful inner circle are dropping like flies. “The age of the collective rule of Putin’s friends is coming to an end,” writes political analyst Vladimir Pastukhov, a visiting fellow at St. Antony’s College at Oxford University. And they’re not just being fired, they’re being humiliated. Consider Sergei Ivanov, a KGB veteran who has worked with Putin for decades. In addition to being Kremlin chief of staff — one of the most powerful posts in the country — Ivanov has served as Security Council secretary, defense minister, and deputy prime minister. And his new job? Special assistant to the president for ecology and transportation. But hey, at least he still has a job. When Viktor Ivanov got the boot this past spring, it was almost an afterthought. Putin simply liquidated the Federal Antinarcotics Service he ran, merging it into the Interior Ministry, leaving the once-influential KGB veteran on the outside looking in. 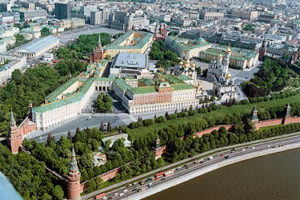 When Yakunin was dismissed as head of Russian Railways, he was offered the soft landing of a seat in the Federation Council, the upper chamber of parliament. Given his stature and long-standing ties to Putin, Yakunin assumed that he would be given a leadership position, perhaps even deputy speaker. This trend is likely to continue. There are persistent reports in the media that another old Putin crony, Rosneft CEO Igor Sechin, is quickly falling out of favor. And who is getting promoted is just as important as who is getting fired: Mid-level bureaucrats and career civil servants who have no power base of their own and who owe their careers to Putin alone. Anton Vaino, the new Kremlin chief of staff, is emblematic of this new governing class. “In place of a prince who ruled with his entourage, there is now a tsar who rules over his servants,” Pastukhov writes. One group of Putin’s old inner circle, however, appears to be immune to the purge. Businessmen like Boris and Arkady Rotenberg, Gennady Timchenko, and Yury Kovalchuk make their billions off of state contracts, but they can also be counted on to finance Putin’s pet projects. In Putin’s new system, they remain useful. “Putin is moving closer to those who serve him and away from those who, because of their resources, claim to be co-rulers,” writes political analyst Tatyana Stanovaya. By scrapping his old system of ruling through elite consensus and balancing clan interests and moving toward one-man rule, Putin is not only breaking with the governing model he has used for his 16 years in power, he is also breaking with the governing model used by every Russian or Soviet leader since Josef Stalin. And we all know what Stalin felt he needed to do to make that system work. Which is why the new National Guard, run by Putin’s old bodyguard and uber-loyalist, Viktor Zolotov, is so important. It absorbs Russia’s Interior Ministry troops, the OMON riot police, and the SOBR — or SWAT — forces. And it reports directly to Putin. When it was first announced in the spring, commentators assumed the National Guard’s primary purpose would be to quickly suppress a popular uprising — and it may eventually be used for that reason. But its real target appears to be the elite. It’s a message that if anybody gets any bright ideas about attempting a palace coup, they will need to contend with Putin’s own personal Praetorian Guard. And in that case, we’ll see just how far Russia’s solitary man is prepared to go.